The founders fathers were so wise. Obviously the founders could predict the future and did not want children born via C-SECTION to be eligible to be President, since that is unnatural. Is Obama a "natural born" citizen? Hubert Schlafly, Jr., the inventor of the Teleprompter, has passed away at the age of 91. When President Obama heard the news he was speechless. Phil Valentine gets it even it not a single one of our fine Metro Council members do. Listen to Phil discuss the Metro Limo price-fixing bill and the pending law suit. Is the Birther issue laid to rest? President Obama has released his "long form" birth certificate. What do you want to bet that the birthers will denounce it as a fake? A week or so ago Michele Bachmanm, who beat the birther drum for a long time, said the issue is settled and she is satisfied. Actually, most rational people were satisfied a long, long time ago. 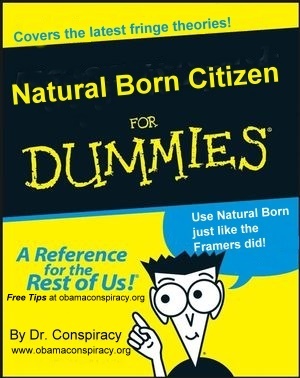 The birther conspiracy theory first emerged in 2008 by Democrat supporters of Hillary Clinton. Since then, it has taken hold in some Republican circles and just won't die. Despite the overwhelming evidence to the contrary, according to some polls, a majority of Republicans believe President Obama was not born in America. Unfortunately, showman Donald Trump is still beating the birther drum and pandering. When people believe 9-11 was inside job designed by George W. Bush, that fluoridated water is a communist plot, that the US is on the verge of falling under Sharia law, that the reason we have a drug problem in this country is because the CIA imports drugs to destroy the Black community, that the reason so many Blacks are in jail is because Republicans want to deprive them of the right to vote, that the secret NAFTA superhighway is a plot to take away American sovereignty, that Lyndon Johnson or the CIA assassinated JFK, that space aliens live among us, or that the Illuminati have been directing and controlling all of the worlds affairs since the mid-1700's, then they will believe anything. While most Republican leaders have denounced the birther moment, many will still occasionally throw the birthers a bone. Often Republican speakers will make some off-hand humorous comment such as saying, "At least I have a birth certificate," or something similar. While playing to the birthers may make one popular with some Republicans, it is a turn off to most independents and thinking Republicans. It is not a winning issue, it discredits what ever else the speaker may have to say, and it is wrong to feed peoples prejudice and ignorance. Few Republican leaders are actually birthers. Most responsible Republicans have never been on this birhter kick, but Republicans need to stop pandering to the nut fringe. Birthers should be ostracized and not be permitted in polite society. "These regulations were written by the city's most expensive limousine companies for the city's most expensive limousine companies." "They were designed to put the affordable competition out of business." "Customers, not government, should pick winners and losers in the transportation industry." "This case is a sad example of the city using public power for private gain." "I came in this county because it is the land of opportunity and freedom. All I need is to be left alone to pursue my American dream." "There is a bourgeois elite in the limo business that believe that only the very rich should be able to afford limousine service." Council Members, Please explain your vote. Kay Brooks in response to my last post asked, who were the council members who voted for the Limo price fixing bill and are they up for election this year. The answer is all who voted, except for Councilman Todd who abstained, voted for it and many of them are up for reelection. Here is the list. I have highlighted in red those council member who disappointed me, who I assumed were conservative. I did not expect much better from the others. ....the following vote: “Ayes” Garrett, Barry, Tygard, Steine, Maynard, Matthews, Harrison, Hunt, Craddock, Hollin, Jameson, Cole, Bennett, Forkum, Ryman, Jernigan, Gotto, Burch, Stanley, Claiborne, Page, Moore, LaLonde, Gilmore, Baker, Langster, Crafton, Evans, Holleman, McGuire, Adkins, Foster, Dominy, Wilhoite, Toler, Coleman, Duvall, Mitchell (38); “Noes” (0); “Abstaining Todd (1)." (1) I don't have all the facts and their is a very good reason you voted the way you did. If that is true could you please explain your vote. I will publish your response on my blog. (2) You did not know what you were voting on. The bill passed the committees with unanimous recommendations, you do not serve on any of those committees so you were unaware of the issue involved and relied on the Committee recommendation. If that is true then, that is not a good enough reason, however, I can understand that. If that is the case, will you introduce legislation to reverse this legislative action? I will report any response I get. Until 2010, sedan and independent limo services were an affordable alternative to taxicabs. A trip to the airport only cost $25. But in June 2010, the Metropolitan County Council passed a series of anti-competitive regulations requested by the Tennessee Livery Association-a trade group formed by expensive limousine companies. These regulations force sedan and independent limo companies to increase their fares to $45 minimum. The regulations also prohibit limo and sedan companies from using leased vehicles, require them to dispatch only from their place of business, require them to wait a minimum of 15 minutes before picking up a customer and forbid them from parking or waiting for customers at hotels or bars. And, in January 2012, companies will have to take all vehicles off the road if they are more than seven years old for a sedan or SUV or more than ten years old for a limousine. These regulations have nothing to do with public safety. Nashville could have limited its requirements to those regulations that are designed to genuinely protect the public's health and safety, such as requiring insured and inspected vehicles, and driver background checks, but instead, Nashville is stooping to economic protectionism to put affordable car services out of business in favor of more expensive services that happen to have more political power. Many Nashville residents who regularly use limos and sedans will be forced to spend twice as much money for exactly the same service and hard-working sedan drivers will be driven out of business. On April 20, 2011, the Institute for Justice teamed up with three Nashville entrepreneurs and filed a federal lawsuit in the U.S District Court for the Middle District of Tennessee to vindicate the right of Nashville's limo and sedan operators to earn an honest living free from excessive government regulation. This is an absolute outrage! Where were the Republican and conservative Democrat council members when this passed? Are there no believers in free enterprise in the Metro Council? Are we living in the Peoples Socialist Republic of Nashville? Even if if fails, I call upon those council members who call themselves conservatives to introduce a bill to repeal this anti-competitive, price-fixing piece of legislation. We need some new voices in the Metro Council. We need some real conservatives. Most issues the Council deals with are not particularly ideological or partisan. There are only a few issues that distinguish a liberal from a conservative in the Metro Council. This is one of them. Where were the conservatives? My drive to work just got more pleasant. Every day I drive to work and back home again for lunch and then back to work and back home again at the end of the work day. My short drive includes traveling busy Glenrose Avenue between Nolensville Road and Foster Avenue. This segment of Glenrose is an area of modest homes close to the road and some businesses. While the area is not terribly depressed, it is somewhat drab and run down and I don't think anyone would call this street an attractive street. About mid way in this section of the Glenrose, the street narrows for an underpass and retaining walls border the street approaching the underpass. Artist Tarri Driver chats with neighborhood leader Cecil Lillard. The walls of the underpass and the retaining walls have long been a site were graffiti "artist" deface the walls and where gangs "tag" the walls. The city does a good job of trying to keep the graffiti removed but it is a constant battle. The result is that the walls had become covered with different shades of paint that have been used to cover the graffiti. It was ugly. This week I got a pleasant surprise when I noticed that the walls were being painted. 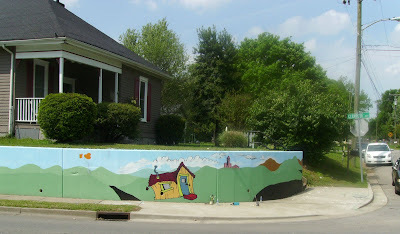 A mural was emerging on what had been an ugly wall. The project is the work of PASTL. I stopped by today while the artists were working to tell them I admired their work and got to meet Michael Kavnaugh the founder and project manager of PASTL and artist Tarri Driver. Tarri is an Art Therapist who describes her job as working to help at-risk kids express themselves through art. I leaned that this is the first big public project for PASTL. 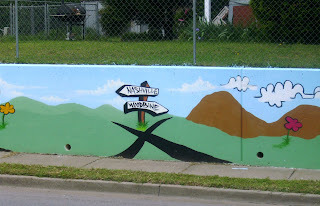 Previous projects have included murals at Johnson School and Spectrum Academy. The project is being funded by a grant from the Neighborhood Resource Center. Tarri expressed hope that the wall would not be defaced by graffiti and said that there has been a history of practitioners of graffiti (I hate calling them "artist") leaving alone murals when they have been have been painted where graffiti had previously prevailed. 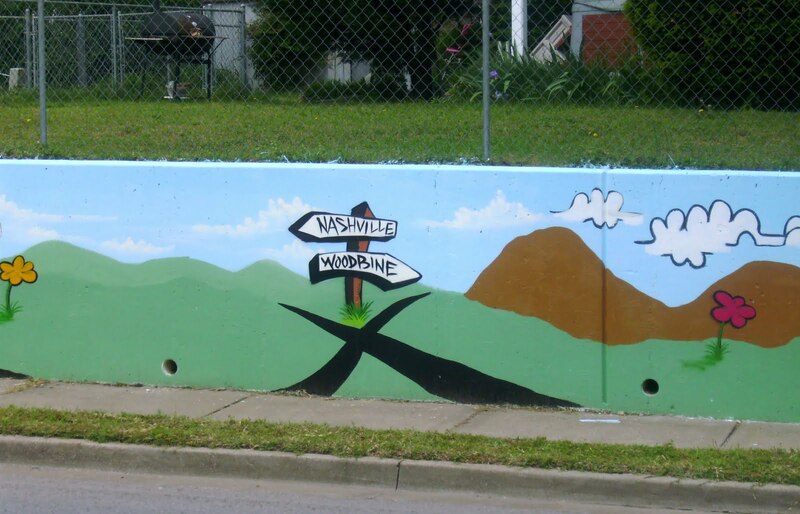 I know that when the railroad overpass on Nolensville Road at the Nashville zoo was repainted with the lifelike animals perched in the painted niches of the overpass, I was fearful that that beautiful artwork would be defaced but surprisingly it has not. I hope that Tarri is right and this work of art is not defaced either. Thanks to all involved in this project for making my drive more pleasant. State Representative Glen Casada has served in the State Legislature since 2001. In 2007, Rep. Casada was elected as Chairman of the House Republican Caucus making him the ranking Republican in the State Legislature. He was a leader in the effort to defeat a State income tax and has championed many conservative causes in the House. Glen will be speaking on issues facing the State Legislature. Representative Gotto is a freshman legislator just elected this past November, taking a house seat long occupied by a Democrat. 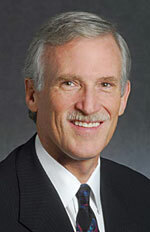 Jim serves on the House Judiciary Committee and the House State & Local Government Committee. Jim also serves in the Metro Council representing Council District 12. Green Hills Breakfast Summit- This Saturday! Swett’s – Green Hills – 2209 Abbott Martin Rd. Join us and hear a prominent member of the TN House of Representatives bring us up to date on what's happening in this exciting legislative session. Bring your own questions on legislation (past, present or future). This is your chance to ask a GOP leader directly. Take advantage of this special opportunity. Invite your friends! Anyone who is not alarmed, is not paying attention. Thank you to all who attended the West Nashville Eggs and Bacon yesterday morning. This meeting marked our 1 year anniversary and I am still proud to help moderate this event. None of this could happen without your support. As a reminder, Chuck Grimes will be "locked up" as a MDA Jailbird in an effort to raise money for Jerry's Kids. Chuck currently heads up the Young Republicans of Davidson County and works for the state legislature. He will need to raise $2400 by July 27th. I have already donated and if you wish to as well, please click here. Ralph Weber was an incredible speaker. He is the President and CEO of MediBid - an service dedicated to finding medical services for people at the free-market level. Along with his company, he served as a consultant to Rudy Guiliani and Mike Huckabee during their Presidential campaigns in 2008. Ralph made some incredibly eye-opening remarks regarding our health care industry and what he feels would be true solutions. One fact that he revealed was that by using nurse practitioners in an effort to reduce medical costs, those costs actually increase. This is because nurse practitioners are likely to order more tests than necessary to properly diagnose a patient. Again, Ralph is a wealth of knowledge regarding the health care industry. Check out his company at: www.medibid.com. Thank you again. We are trying to get a health care panel setup for a future meeting. All details will be provided once solidified. Find us on Facebook! Click here to like us! "Most of the money — about $326 million — went to more than 47,000 taxpayers who didn’t qualify as first-time homebuyers because there was evidence they had already owned homes. " The money should be recaptured and any borrowers who knowingly committed fraud or any mortgage loan officers who committed fraud on behalf of a borrower should be criminally prosecuted and jailed. I take back the laudatory things I said about the budget deal that avoided a government shut down. Various believable and trusted sources have analyzed the spendnig cuts and the $40 billion in cuts was really only about $352 Million. We were had. We were scammed. I am forgiving of those who voted for the deal, however. Last minute budget crunching to beat a deadline can result in not being sure what you really voted for. They had to vote for it to know what was in it. They fooled you this time; don't be fooled again. Those who voted against the final deal, since real cuts were only amounted to $352 million, were right. There is another chance to get real cuts and that is in the vote raising the debt limit. Get some real cuts next time. Republicans must take a stand for real cuts. Real solutions beyond one-time cuts will require that everything be on the table, including entitlements and military spending. For a long-term solution, Congress needs to pass the Corker Cap Bill. Here is an analysis of what really passed from the Patriot Post. Other sources verify the correctness of this analysis. Read this and be disgusted as am I. "The details of the agreement reached late Friday night just ahead of a deadline for a partial government shutdown reveal a lot of one-time savings and cuts that officially 'score' as cuts to pay for spending elsewhere, but often have little to no actual impact on the deficit." First, the $40 billion deal included $12 billion in cuts from previous continuing resolutions, bringing the total to just $28 billion. Another $6.2 billion was merely unspent census money. Some $10 billion came from appropriations accounts used for earmarks that Republicans had already agreed to ban. More than 50 federal programs were cut, but the grand total for that was a pathetic $1 billion in savings. Four of Obama's "czars" were also cut, but the catch is that all four had already either resigned or moved to other job titles. Corker's CAP Act Gains Momentum, Cooper supports CAP. WASHINGTON – U.S. Senators Bob Corker (R-Tenn.) and Claire McCaskill (D-Mo.) today announced additional bipartisan, bicameral support for their bill to put an across-the-board, binding cap on all federal spending. U.S. Senators Joe Lieberman (I-Conn.) and Ron Johnson (R-Wis.) have added their names to the CAP Act, and U.S. Representatives Jimmy Duncan (R-Tenn.) and Jim Cooper (D-Tenn.) will be leading the effort in the House to build bipartisan support for the bill. The CAP Act, S. 245, would, for the first time, set an across-the-board, binding cap on all federal spending. The fiscal straitjacket created by the CAP Act would result in $7.6 trillion less spending over a 10-year period and fundamentally change the way Washington does business. For the first time, eliminate the deceptive “off-budget” distinction for Social Security – providing a complete and accurate assessment of all federal spending. The growing list of Senate sponsors of the CAP Act includes Bob Corker (R-Tenn.), Claire McCaskill (D-Mo. ), Lamar Alexander (R-Tenn.), Richard Burr (R-N.C.), Saxby Chambliss (R-Ga.), Mike Crapo (R-Idaho), Jim Inhofe (R-Okla.), Johnny Isakson (R-Ga.), Ron Johnson (R-Wis.), Mark Kirk (R-Ill.), Jon Kyl (R-Ariz.), Joe Lieberman (I-Conn.) and John McCain (R-Ariz.). The 2011 Tennessee Liberty Festival! A celebration of our Constitution and our liberties for children and adults! With storytellers, musicians, games, crafts, re-enactors and more! On Tuesday, April 19, Kathleen Williams will be honored by the Tennessee Wildlife Federation as the Land Conservationist of the Year. The award will be bestowed at the 46th Annual TWF Conservation Achievement Awards and Legislative Reception in ceremonies at the War Memorial Auditorium in downtown Nashville at 5 p.m. To attend the reception, call 615-353-1133 or email tnwfintern@tnwf.org. Each year since 1965, the Tennessee Wildlife Federation (TWF) has honored a select group of leaders in the conservation and stewardship of wildlife and their habitat in Tennessee. 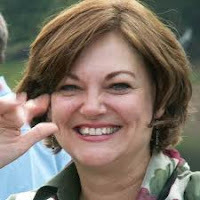 Kathleen is Executive Director of The Tennessee Parks and Greenways Foundation. TPGF is a statewide non-profit organization that seeks to conserve and protect Tennessee’s rich heritage and natural resources. It seeks to identify and protect the most beautiful, ecologically-rich, and historically-significant places in Tennessee. It has protected many beautiful vistas, privately-held waterfalls, critical habitats, and worked to place conservation easements on thousands of acres of land. The Foundation is funded by individual donations, grants, and other tax-deductible gifts. Last year Kathleen was instrumental in getting the State Legislature to restore the land conservation fund whose dedicated funding had been diverted to the general fund. Kathleen is my sister and I am very proud of the work she is doing. An added bonus of being her brother is that I get to take some beautiful hikes and see some marvelous waterfalls that are little known and not yet open to the public. 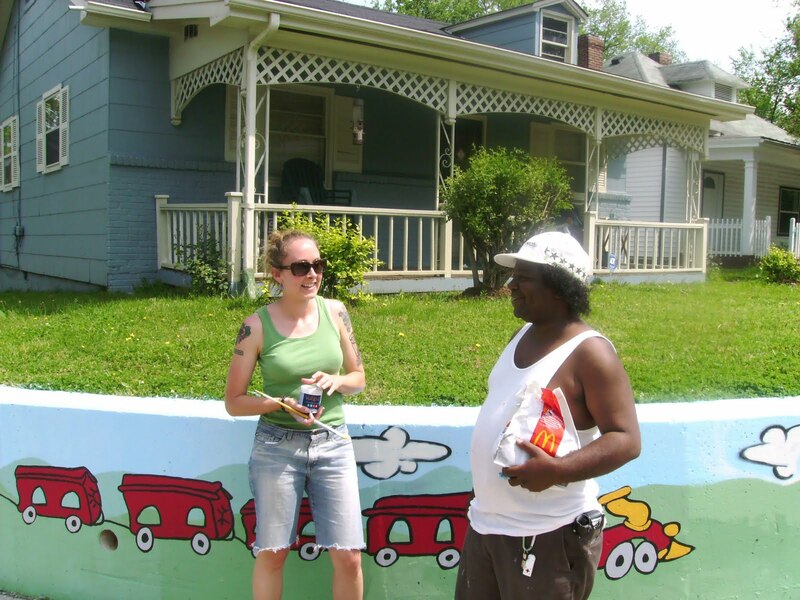 Action Alert: Don't make foreclosure easier in Tennesee. As a housing counselor working for a HUD-approved non-profit housing counseling agency, I see first hand the problems people face in trying to save their home from foreclosure. Tennessee already has one of the easiest foreclosure systems in the country. But yesterday in the Tennessee House Judiciary Sub-committee bankers tried to make foreclosure even easier in Tennessee. Tennessee's "non-judicial review" process for foreclosures ranks near the top for ease and speed of foreclosures. 2. Publish 3 public notices of foreclosure in the area newspaper. The whole process can take less than 21 days. The only way to slow down the process is to file bankruptcy. Coincidentally, Tennessee has one of the highest bankruptcy rates in the country. Now in the Judiciary Subcommittee, bankers hope to make the process even easier. There are already documented cases across Tennessee where elderly, separated and divorcing couples had no idea their home was being foreclosed upon until someone read it in the paper and alerted them. This radical proposal from the banking industry violates several legal cannons including constructive notice, due process, fundamental fairness and the vagueness doctrines (see below). This is not a conservative or liberal issue nor a Republican or Democratic issue but an issue of fair notice. Please take time right now to click here and email committee members and tell them what you think. The Bill Threatens to Break Several Legal Doctrines. Senate Bill 1299/House Bill 1920 will be heard this week. The bill would decrease the number of publications necessary prior to foreclosing on a property from three to one, decrease relevant information contained in the notice, and the bill states that the law would allow errors in the public notice. Important constitutional and judicial doctrines such as constructive notice, due process, fundamental fairness and the vagueness doctrine are violated by this bill. Bill Violates the Legal Doctrine of Constructive Notice. This bill decreases the number of publications for the public notice from three to one – thus violating a legal canon called constructive notice; the publication of a public notice three times. Courts allow constructive notice as a relief from liability for any claim of ignorance of the action. Should a debtor willfully avoid notice by not opening their mail or claiming that they never received the notice of foreclosure the maxim of constructive notice provides protection for the bank or other entity; it is allowed by courts as legal proof that notice of the action was provided to the individual and or to the community. Violates Procedural Due Process, Fundamental Fairness Doctrine and Vagueness Doctrines. Procedural due process of the law provides that any government action that unfairly deprives an individual of life, liberty, or property is unconstitutional. This bill changes the standard description of property used for generations in foreclosure matters whereby one can easily identify through the ad the property being taken. This bill would require only a “concise” description of the land in question; which means only a reference to the deed book and page in the county register of deeds office that contains the complete legal description of the property – it is not reasonable to believe that most citizens would be able to understand that the legal notice of foreclosure is identifying their property by reading such a technical description in the newspaper thus a procedural violation of due process would exist. An additional violation of due process set forth by the language of this bill is found in language that states “Any error or defect in the common description of the land shall not in any way void any sale of the land.” This violates what is called the fundamental fairness doctrine which is synonymous with due process. The vagueness doctrine is a legal principle which states that law that does not provide a “person of ordinary intelligence a reasonable opportunity to know what is prohibited, proscribed or claimed” is unconstitutionally vague. This bill seems to allow language in legal notices which is intentionally vague and lacking in commonly useful information by changing the level of detail and standard description historically used to identify the property being taken. The above information is from the Open Government Project of the Education and Public Policy Center. EPPC has entered in to a project to defend open government in Tennessee called "Public Notice: under threat." Several pieces of legislation threaten to end public notices in Tennessee's newspapers including notices of upcoming elections, zoning changes, rate increases and many others. Please visit www.publicnoticetn.com to learn more about the impending threat to publication of public notices in Tennessee, watch the videos and read the issue alerts. Today is Tax Freedom Day! Today, Americans stopped working for the federal government and started working for themselves. Well, maybe not really working for themselves yet because they still have to work a few days more for state and local government, but still today is a day to celebrate. Today's Tax Freedom day comes three days later than last year, but still a couple weeks earlier than Tax Freedom Day in 2006 and 2007 when it was April 24. 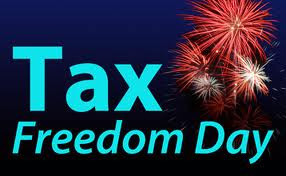 Of Course, if we were paying for all the government we were getting, Tax Freedom Day would not arrive until June 21st. When you borrow 40% of every dollar you spend you can get a lot of stuff you haven't paid for and some of it is not even stuff you need or really want. Taxes this year will cost Americans more than what they'll spend on food, shelter, and clothing combined. Ralph F. Weber, President of MediBid, was born in Vancouver, Canada, and grew up in Thailand, Nepal, and Germany. After starting an international health insurance brokerage in Canada, Ralph’s wife was injured by a 2 ½ year wait for surgery, and his son sustained a head injury which was not treated because of the lack of a CT machine at the hospital in Canada. 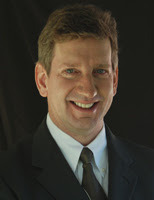 In 2005, Ralph moved to California to obtain surgery for his wife, and expanded his brokerage there. In 2006, Ralph participated in a healthcare forum with presidential hopeful, Rudy Giuliani. Ralph later contributed healthcare reform policy to Mayor Giuliani, and state assemblyman, Mike Villines. Driven by a passion for greater access, transparency, and value in healthcare, Ralph and a group of private investors started MediBid. MediBid does what politicians have failed to do to healthcare for decades: To control costs, expand access, and offer quality choice and value to patients through a free market system. MediBid allows patients to shop for medical care across state lines. "Speaker Boehner is to be congratulated for forcing through more real budget cuts in the midnight deal to prevent a shutdown than even his own Appropriations Committee initially proposed. This is a good first step toward restoring fiscal sanity in our nation. "As our nation faces a real government shutdown in just a few weeks as we reach the limit on how much money the federal government can borrow, we urge the Speaker to keep the pressure on to create institutional changes that permanently pull our nation back from the brink of financial disaster before agreeing to any increase in the debt ceiling. Speaker Boehner has the political momentum, and the American people will no longer stand for giving the politicians in DC a blank check. "It is our hope that the Speaker will force the Senate and House Democrats to at a minimum send the Balanced Budget Amendment proposed by Senators McConnell and Hatch to the states for ratification in exchange for an increase in the government's credit limit. Our nation can no longer afford to keep borrowing and a strong balanced budget amendment would force fiscal sanity and preserve our nation's historic greatness." Another fun, tea party fight song by Bruce Bellott. He performs at Nashville tea party rallies. My sweet and lovely niece Rebecca Mooradian won second place in the Cheapest of the Cheap Awards 2011, awarded by The Tennessean's "Miss Cheap," Mary Hance. I have been known as a frugal person myself because there was a time in my life when I had to be. I still love a bargain and admire frugality. Rebecca is a gal after my own heart! Below are pictures and text from The Tennessean web page. The article doesn't tell the full story. 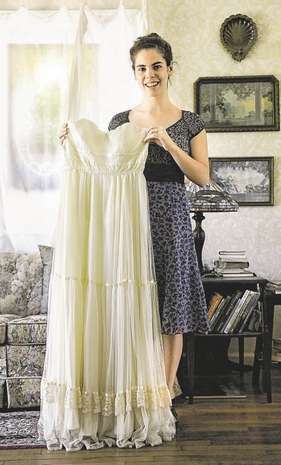 The dress has been professionally cleaned and Jonathan Moody's mom, Rossie Moody, who is a talented seamstress altered the dress to fit. Rebecca will be as lovely as any bride in a $6000 dress. Second Place, $499.99: Rebecca Mooradian, Nashville and Sewanee -- Rebecca, who is planning her June wedding to her childhood sweetheart, Jonathan Moody, will wear a dress that she bought at a yard sale when she was 10 years old -- for a quarter. "The man who sold it to me seemed a little embittered and I actually think he said something along the lines of 'Good riddance' as he handed the dress to me. 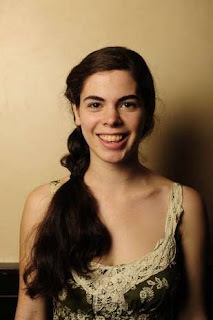 Throughout school I wore it as a costume for Halloween parties and for stage performances,"’ says Rebecca, a senior at the University of the South at Sewanee who’s majoring in French and English. Rebecca and her mother are also buying stemware and china for half off at Goodwill to use as they self-cater the wedding, which is being held in Abbo's Alley on the Sewanee campus. "We couldn't stand the idea of using disposable plates, and on average we are spending 40-60 cents per plate and even less for the stemware (which, she adds, is less than renting china, which starts at about $1 per plate). After the wedding, we plan on having an enormous yard sale to make back some of the money we spent." Shut 'er Down! Did Republicans Cave? I know many Kamikaze Republican are disappointed the government did not shut down. They wanted Republicans to hold firm to a plan to cut the budget $100 billion and not pass any budget that cut less. Democrats were not going to pass a budget with $100 billion in cuts, the government would have shut down, Republican would have been blamed, nothing would have been accomplished and this would have guaranteed the reelection of Barack Obama the same way Republicans helped reelect President Clinton when in 1996 they shut down the government. Actually, Republicans did not shut down the government in 1996; Clinton did by vetoing the budget he was sent by Congress. It did not matter; Republicans got the blame. This time the government would not have been shut down because the President vetoed a budget sent to him by Congress, but would have shut down because Congress did not sent him a budget.The result would have been the same; Republicans would have been blamed for the shut down. I realized the seriousness of the budget crisis. I realized we have a $14 Trillion national debt and 40 cent of every dollar the government spends is borrowed money. I realize we have a crisis. Please do not lecture me on the debt. I am fully aware of the enormity of the problem. We have a crisis. I get it. However, shutting down the government would have led to Republicans losing elections and the Democrats would have won the PR battle. Most Americans are still in denial about the financial status of our nation. Shutting down the government would not have convinced them of anything. While I would have preferred a larger cut, I actually think this is a pretty good beginning on a return to financial responsibility. THE LARGEST SPENDING CUT IN AMERICAN HISTORY. The agreement will immediately cut $38.5 billion in federal spending – the largest spending cut in American history in terms of dollars – just months after President Obama asked Congress for a spending “freeze” that would mean zero cuts. HUNDREDS OF BILLIONS IN SPENDING CUTS OVER THE NEXT DECADE. The agreement will cut hundreds of billions of dollars from the federal budget over the next decade – “real money,” as the Wall Street Journal editorial board recently noted. OFFICIALLY ENDS THE “STIMULUS” SPENDING BINGE. The agreement begins to reverse the “stimulus” spending binge that began in 2009 – signaling the official end of a period of unprecedented government intervention that former Federal Reserve Board Chairman Alan Greenspan and other economists say hurt job creation in America by crowding out private investment. SETS STAGE FOR TRILLIONS MORE IN SPENDING CUTS. Clears the way for congressional action on House Budget Committee Chairman Paul Ryan’s budget – The Path to Prosperity – which cuts trillions in spending and offers a long-term blueprint for American job creation. GUARANTEES SENATE VOTE ON REPEAL OF OBAMACARE. The agreement reached with Senate Democrats guarantees a Senate debate and vote on legislation that would repeal President Obama’s government takeover of health care in its entirety. The House passed such legislation in January as part of the Pledge to America. NEW TOOLS IN THE FIGHT TO REPEAL OBAMACARE. The agreement will generate new tools for the fight to repeal Obamacare by requiring numerous studies that will force the Obama Administration to reveal the true impact of the law’s mandates, including a study of how individuals and families will see increased premiums as a result of certain Obamacare mandates; a full audit of all the waivers that the Obama Administration has given to firms and organizations – including unions - who can't meet the new annual coverage limits; a full audit of what's happening with the comparative effectiveness research funding that was in Obamacare and the president’s failed “stimulus” spending bill; and a report on all of the contractors who have been hired to implement the law and the costs to taxpayers of such contracts. DENIES ADDITIONAL FUNDING TO THE IRS. The Obama administration has sought increased federal funding for the Internal Revenue Service (IRS) – money that could be used to hire additional agents to enforce the administration’s agenda on a variety of issues. This increased funding is denied in the agreement. GUARANTEES SENATE VOTE & DEBATE ON DE-FUNDING PLANNED PARENTHOOD. The agreement with Senate Democrats guarantees a Senate debate and vote on legislation that would end federal funding for Planned Parenthood. BANS TAXPAYER FUNDING OF ABORTION IN THE DISTRICT OF COLUMBIA. The agreement includes a complete ban on local and federal funding of abortion in the District of Columbia, applying the pro-life principles of the Hyde Amendment (“D.C. Hyde”). MANDATORY AUDITS OF THE NEW JOB-CRUSHING BUREAUCRACY SET UP UNDER DODD-FRANK. The agreement subjects the so-called Consumer Financial Protection Bureau created by the job-destroying Dodd-Frank law to yearly audits by both the private sector and the Government Accountability Office (GAO) to monitor its impact on the economy, including its impact on jobs, by examining whether sound cost-benefit analyses are being used with rulemakings. That is not a bad beginning. I assume it is the best we could get. Full text of Senator Corker’s letter to Chairman Kerry is included below. On March 19, 2011, the United States engaged in military operations over Libya "to set the conditions for our European allies and Arab partners to carry out the measures authorized by the U.N. Security Council Resolution," namely for the enforcement of a no-fly zone. Questions have been raised about the constitutionality of this engagement and what authorities govern this employment of forces. To that end, I call on the committee to hold a series of hearings to examine the division of war powers as outlined by the Constitution, reexamine the provisions of the War Powers Resolution of 1973, and consider recommendations to amend or clarify the conditions required for the employment of US forces. We owe it to every man and woman who puts on a uniform to serve our country, and every taxpayer who funds the operations, to be clear that our entry into any conflict - whether in response to an attack on the homeland or a threat to our broader national security - has been entered into in a lawful and appropriate manner. I look forward to the scheduling of these hearings in the very near future. In a Foreign Relations Committee hearing on March 17, prior to the U.N. Security Council resolution authorizing U.S. and coalition airstrikes in Libya, Corker questioned Undersecretary of State William Burns about the need for a congressional authorization and the goals for a U.S. military operation in Libya. Corker also issued a statement on March 28 reiterating his call for clarity on the United States’ interests and role in Libya. I am appalled that members of Congress and the public who vehemently opposed our war on Iraq, which was authorized by Congress, are totally unconcerned about our war on Libya which has not been authorized and when there was no imminent threat. They are totally devoid of any consistency. I suspect many of them would grant President Obama dictatorial powers on the slightest of pretense. Obama has committed an impeachable offense and should be removed from office. Senator Corker, Please do not back down. Keep pushing and demand these hearings. Where are the other members of Congress who care about the Constitution? "I don't care, Obama is Awsome." What more can I say. This explains the mind of a liberal. "Obama is cool and awesome." You can now order tickets for Atlas Shrugged Part 1 in Nashville at the Regal Hollywood 27, 719 Thompson Lane. This is the movie theater at 100 Oaks. The movie opens April 15, 2011. Make this a sold-out show! Tickets are still available. I just purchased my tickets for the 7:30 show. CULVER CITY, Calif., April 1, 2011 /PRNewswire/ — Based on the film’s recent fan-based grassroots uprising, “The Strike” Productions today announced it will be expanding the initial release of the Atlas Shrugged movie from 11 markets to over 50. At a Cato Institute conference this Thursday, April 7, at 2 p.m. ET in Washington, Senator Bob Corker will make a presentation on the CAP Act, his bill to set a first-time, across-the-board cap on all federal spending. The fiscal straitjacket created by the CAP Act would result in $7.6 trillion less spending over a 10 year period than projected current policy and change the way Washington does business. 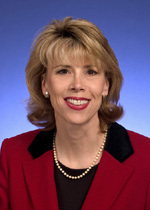 Donelson-Hermitage Summit: Who is a "Bona Fide" Republican? Who is a "Bona Fide" Republican? In a state without party registration, how does one identify who is and who is not a Republican. Come to this meeting on Saturday and share your opinion with Tennessee Republican Party Executive Director Adam Nickas and Davidson County Republican Party Chairman Kathleen Starnes. Kathleen has been appointed to the committee that will try to define what is a Republican. Adam and Kathleen will also be discussing the future plans for growth of the State and Davidson County Party and how grass roots Republicans can get involved. On Wednesday March 30, Senator Rand Paul spoke on the Senate floor concerning his objections to the president's actions in Libya and the executive's lack of regard for the Constitution. I think Rand Paul has it exactly right. President Obama has taken us to war without a Congressional Declaration of war, when there was no imminent threat to the United States or our allies. He is in clear violation of the War Powers Act. He is acting as if he were King. The United States has no vital interest in this conflict. We know Qaddafi is a madman and maybe mentally deranged, but we have no clue who the rebels are. Are they seeking to establish a Democracy or a radial Islamic Republic? Are we fighting on the same side as Al Qaeda in the war? We don't know. Radon: Former Metro Councilman Rod Williams called the results an "outrage." Former Metro Councilman Rod Williams called the results an "outrage." Williams passed a law in 1988 in the Metro Council requiring testing in all schools, but somehow the law was forgotten. "A generation of kids are now adults who lived breathing radon every day and that should have been tested 20 years ago," Williams said. This week I cast the tie-breaking vote to advance a bill requiring the election of all judges in the State of Tennessee, including appellate and Supreme Court justices. I would like to share with you the reasons for my action and ask you to join me in a call for constitutional reform. As a conservative, I place great trust in our state constitution. I see the document as a product of the accrued wisdom of our forebears. It should not be ignored just because its requirements may be seen as inconvenient or out of fashion. I honor it, not only because it contains great wisdom, but because it places limits on government and prevents the more dangerous whims of temporary majorities. Every person elected to an office of public trust in this state takes a solemn oath to defend the constitution. I have taken that oath and I take it seriously. In 2009, I led the charge to change the way judges are chosen in our state. In the past, under the original “Tennessee Plan,” special interest groups and trial lawyers held a stranglehold on the process virtually forcing the governor to pick from their approved candidates. During the last legislative session, we passed a modified version of the plan that removed the influence of special interests. The plan in place now is a good system. It takes the special interests out of the equation and puts the power to select and appoint judges back in the hands of the people you elect. Those appointed judges then stand after every term for what is called a “retention” election, voting yes or no on whether a judge should be retained or replaced. This is a fair, equitable and efficient way to make sure only the very best judges are interpreting our laws and sitting in judgment of the people of Tennessee. In fact, there is only one problem with the plan – it is unconstitutional. While our Supreme Court has twice found retention elections fulfill constitutional requirements, many legal scholars dispute those rulings. I concur with those scholars. Just as every reasonable adult knows what the word “is” means, I think we all know what the word “election” means. Retention elections are not really elections as understood by most citizens. Again, my decision to move a bill forward that acknowledges the truths self-evident in our constitution does not mean I believe contested judicial elections are in the best interest of Tennessee. I do not. If I was able to wave a magic wand and decide a new process, I would not choose open election. But I do not get to wave that magic wand. The constitution is the constitution. Words mean things. For years our federal government has simply ignored the constitutional limitations placed upon it. We now see the whirlwind such a practice reaps. This is Tennessee -- not Washington, DC. We take our word seriously. We take our constitution seriously. We either need to amend the constitution or abide by it. There is no acceptable middle ground. I challenge you to join with me on this issue. However you think judges should ultimately be chosen, we must agree that the process be constitutional. Stand with me and demand that the constitution of the state of Tennessee is either followed or changed – but not ignored. I could not agree more. My view exactly. He stated it well.